Welcome to the 171st installment of spacey enjoyment; something we like to call the Carnival of Space. Pull back the tent flap and come on in. Theres more goodness on the inside. You know its always hard to know where to start when there is so much interesting news. Theres been a lot of talk about meteorites on Earth and near-Earth objects this week. But you may not have heard of OileÃ¡n Ruaidh. The Road to Endeavour calls it the most beautiful Barsoomian meteorite ever. Moving sunward, explore Venus through the travelogue of the Urban Astronomer. Emily Lakdawalla, of the Planetary Society blog, reminds us that Venus is not as neat and tidy as we thought. Swinging yet closer to the Sun, Astroblogger Ian Musgrave makes a contribution to astronomical research by bringing to our attention Mercurys comet-like tail. Not bad for an amateur. Not only did the equinox and full Moon correspond last week, but also our carnival saw its share of Moon news. Pradeep Mohandas discusses results from the CHACE instrument aboard the Moon impact probe from the Chandrayaan-1 spacecraft. Kentucky Space shares with us their collaboration efforts with Lunar Reconnaissance Orbiter engineers. StarStryder provides a brain dump, to avoid loonyness, of new lunar results from the LRO mission. Here on Earth, Nextbigfuture has an interview with John Hunter of Quicklaunch (along with pictures and videos). Quicklaunch is hoping to create a method for launching unmanned payloads into orbit for $500 per pound. The Quicklaunch approach shoots payloads into orbit using a large hydrogen powered cannon. Just in time for my visit to KSC later this month, the Rocket Garden is sporting a new, more historically accurate, addition. 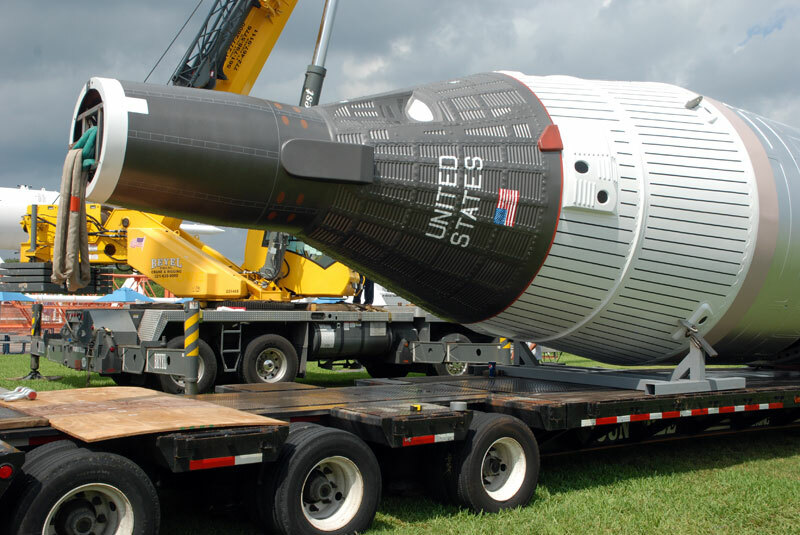 A “new” old rocket, the second stage of a restored USAF Titan II missile tipped with a mockup of a Gemini spacecraft, has sprouted in the garden. WeirdWarp shares with us a study from the American Institute of Physics that reveals solar power potentially could be collected using cheap, selenium-based solar cells. Nextbigfuture also reports that Reaction Engines’ Skylon spaceplane project is reaching its final stages. Is astrobiology too specialized of a field to warrant a Master’s of Science? If you’re interested you should check out this post from Alun Salt. The idea of aliens visiting Earth must be weighing on the mind of the possible UN ambassador of extraterrestrial contact. But maybe this is all unnecessary you say, WeirdSciences helps us with the implications of alien civilizations and the possible fate of our civilization. WeirdSciences also ponders the lack of time travelers. Where are they? One way we can travel back in time is to study stories from the past. Listen to this 365 Days of Astronomy podcast where Steve Nerlich, of CheapAstro.com, discusses an indigenous Australian account of Eta Carina’s 1840 outburst with Duane Hamacher. The European Southern Observatory may arguably be one of the most prolific observatories on the planet. 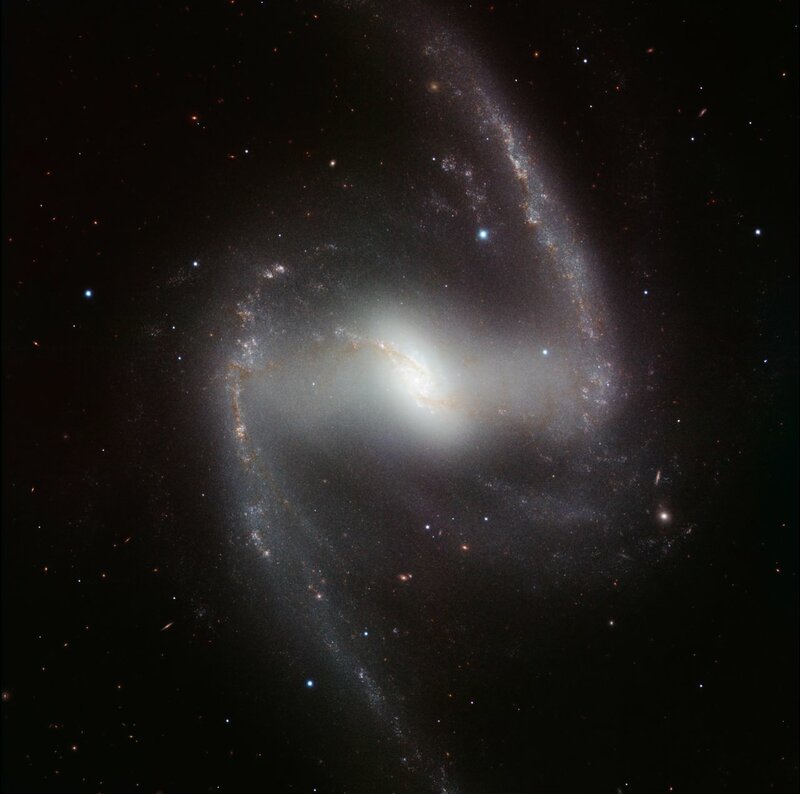 Before you leave, spend a few minutes at StarryCritters exploring the perfect barred-spiral form of NGC 1365, a new image from ESO’s Paranal Observatory in Chile. Wow. What a beautiful barred spiral image! And great job on this Carnival of Space! Lots of great articles here.